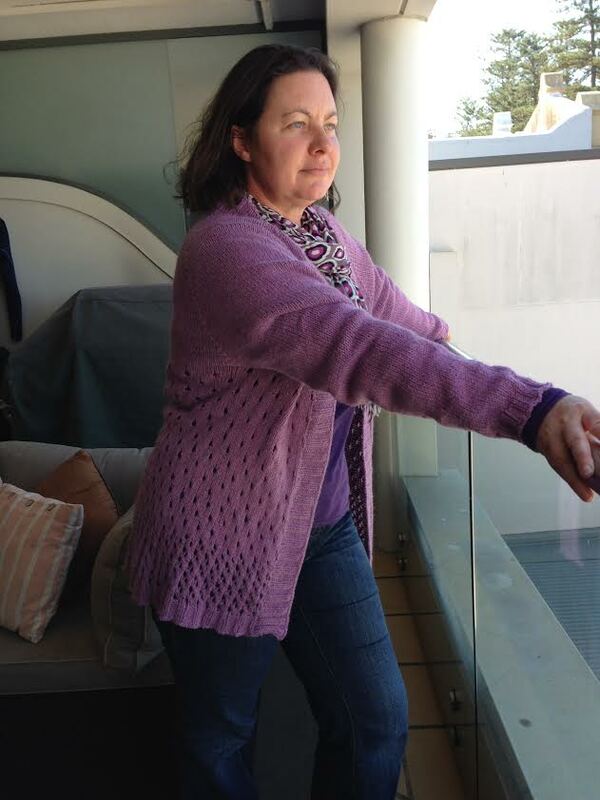 My latest finished object was knitted as a surprise gift for my friend Carson. In the above photo she still wasn't aware it was for her. A couple of years ago Carson rather generously gave me 10 balls of Rowan Yarns DK (8ply) Cashcotton for my birthday. 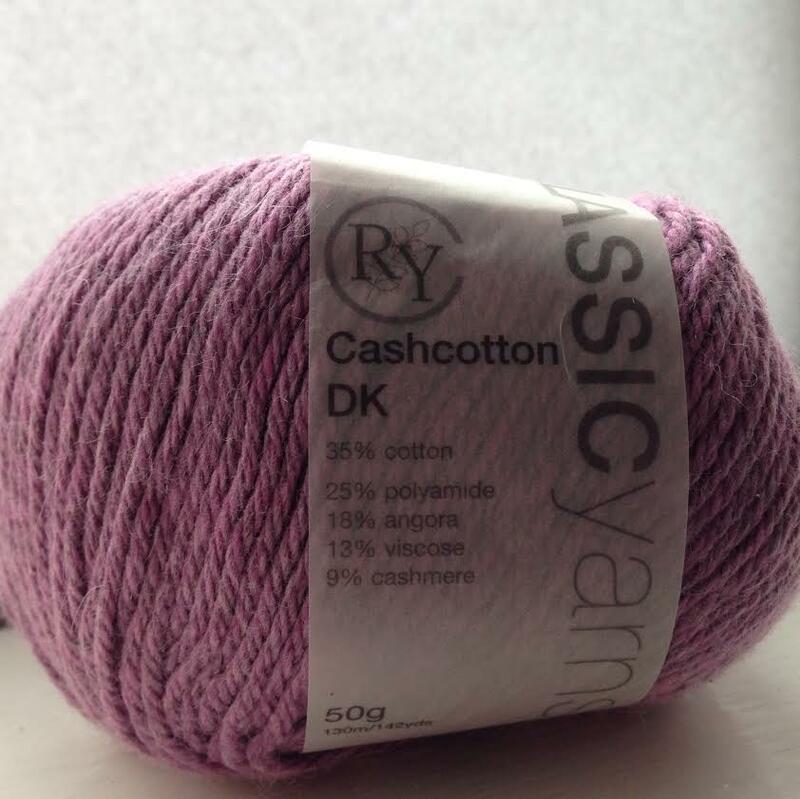 The yarn, which is now sadly discontinued, is a beautiful soft blend of Cotton (35%), Polyamide (25%), Angora (18%), Viscose (13%) and Cashmere (9%). Its the type of yarn that fibre addicts pass around so that everybody can give it a squeeze. 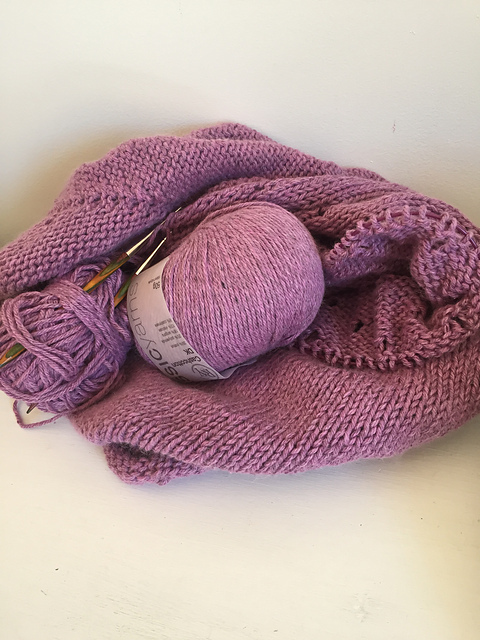 The yarn is a beautiful pale purple with grey fleck. It has been almost impossible to capture the colour but I think this WIP photo shows it best. I remember being blown away by the generosity of the gift and I was determined that I would use it for something worthy. 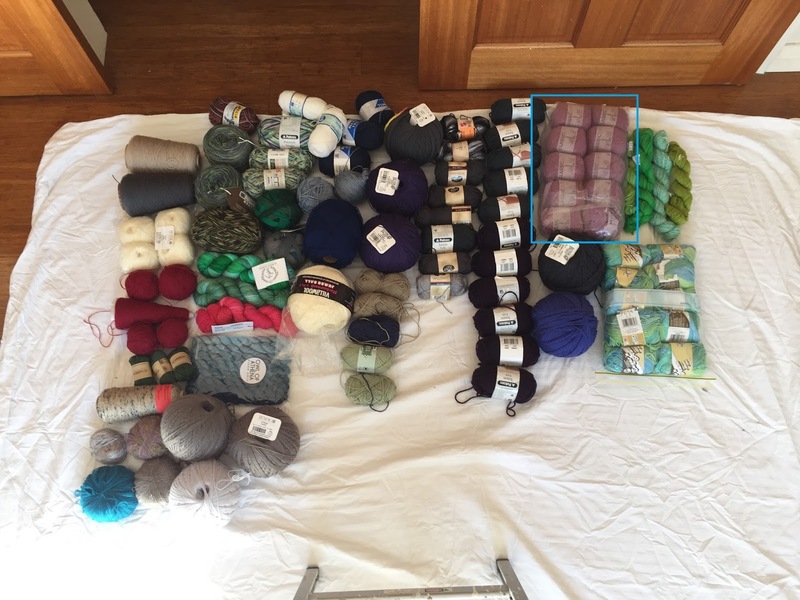 This did mean that the yarn sat in the stash bucket for a while before I worked out what I wanted to use it for. Earlier this year Carson told me that she was intending to quit her job and go travelling in Europe for a couple of months. However, she realised that the timing would mean that she was leaving Australia in October and would be arriving in the European autumn. Suddenly it seemed clear that Carson needed a warm cardigan. Now all I had to find was the pattern. This gorgeous little number by Alicia Plummer was perfect. It is very clearly set out, incredibly easy to follow and knit up in no time (I think it took me a month to make). I made no intentional modifications, although I did find that the sleeves came out a little long. Carson loves her new cardigan and was apparently in shock when I gave it to her because nobody has knitted for her since receiving the traditional Grandma Christmas knits. I do hope she will be warm enough. So gorgeous, I love the pattern and I also love the effort you went to in making this for Carson, sneakily getting sizing and even the reveal photoshoot! This is such a special project! And look at you working your way through the stash, I bet you didn't think you'd be so disciplined about it. I think putting it out there on the blog helps, something to be held accountable for!